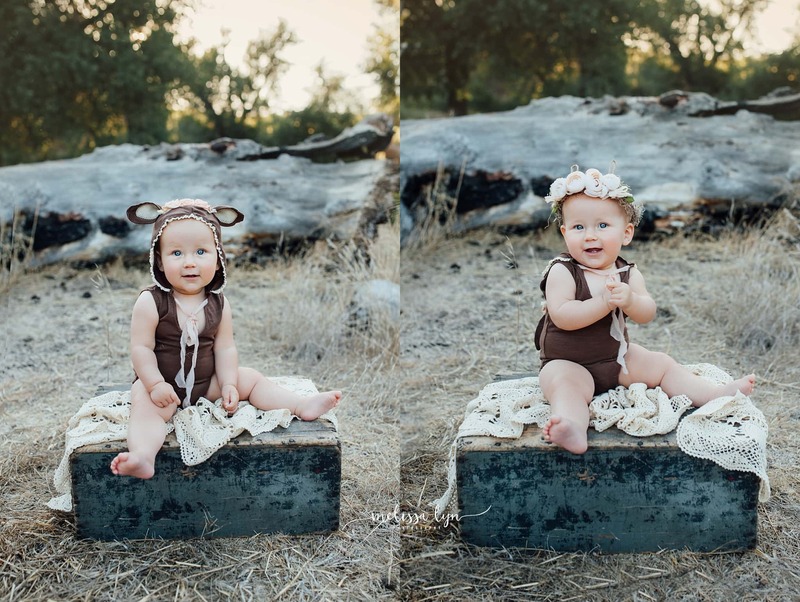 One of the things I love most about being a Temecula Baby Photographer is watching my tiniest client grow! Being able to capture big milestones is such an honor! One of my favorite milestones to capture is the “sitter” stage. 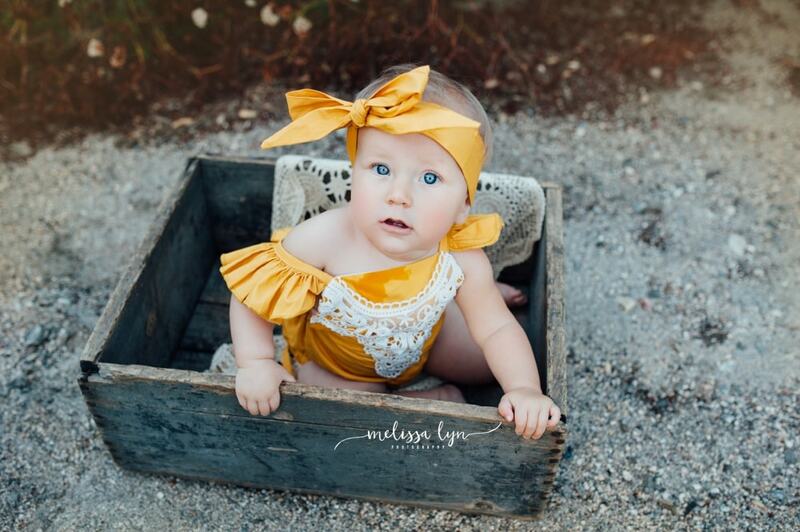 This is when a baby can start to sit up unassisted without falling over. This is usually between 6-8 months. I absolutely LOVE this age! 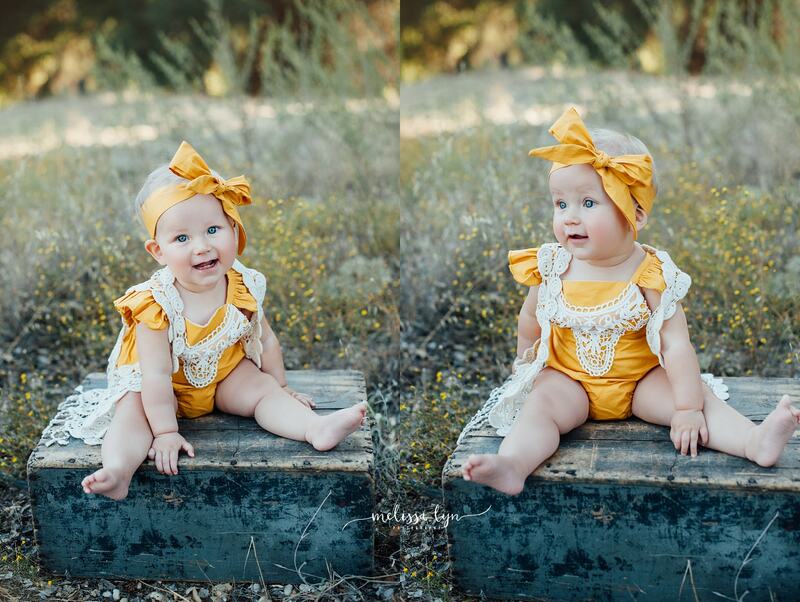 Babies are so happy and love to see their surroundings from a new view-sitting up! They have spent the last 6 months lying down and when they can finally sit up on their own, they have a new view of the world! That, and well the chubby rolls and drool everywhere gets me happy too! The last time I saw Miss Chloe was at her newborn session. She has grown quite a bit since the last time I saw her! 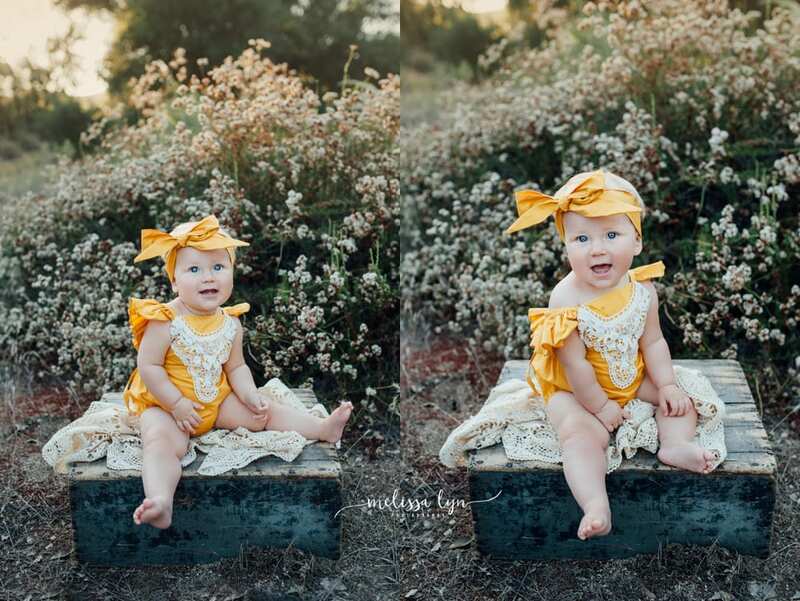 She keeps getting cuter and cuter! 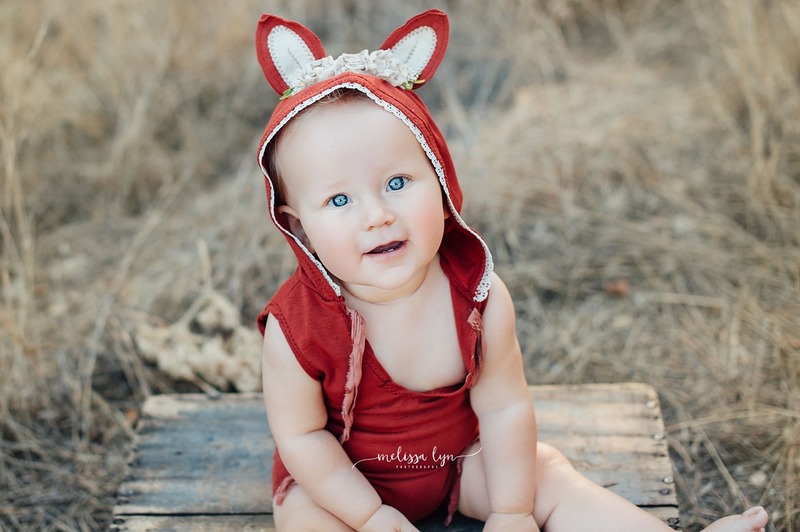 I was so excited to use these adorable little Fox and Deer rompers from Pup & Frank. They were perfect to compliment this rustic outdoor location! 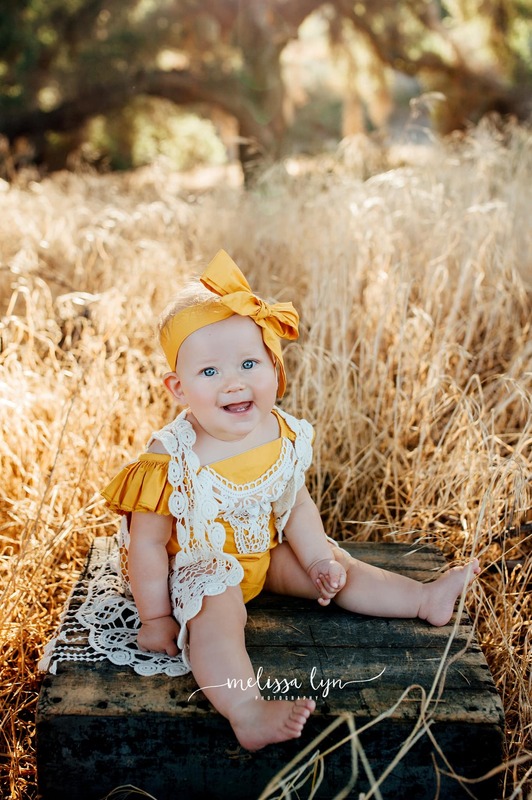 Normally, I do my sitter milestone sessions in the studio, however we decided to head down to one of my most favorite locations here in Temecula and I just love how it turned out! 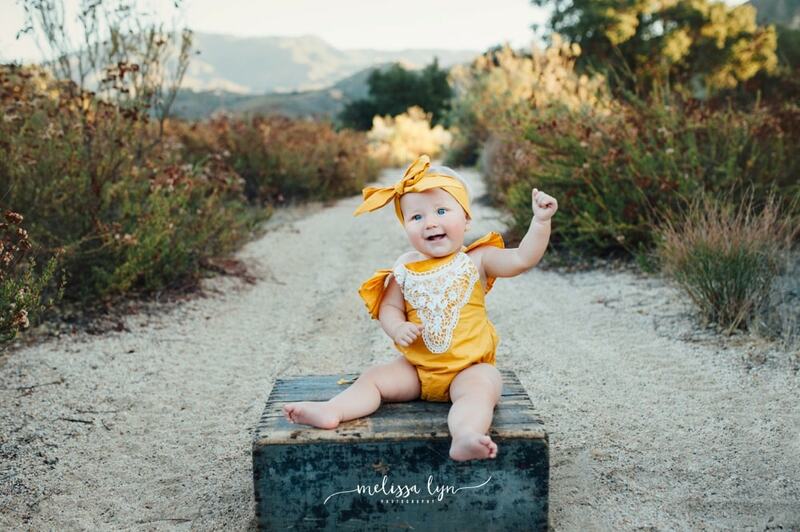 Melissa Lyn Photography specializes in custom Newborn & Maternity Photography in the Temecula, Murrieta and surrounding areas from Orange County to San Diego. 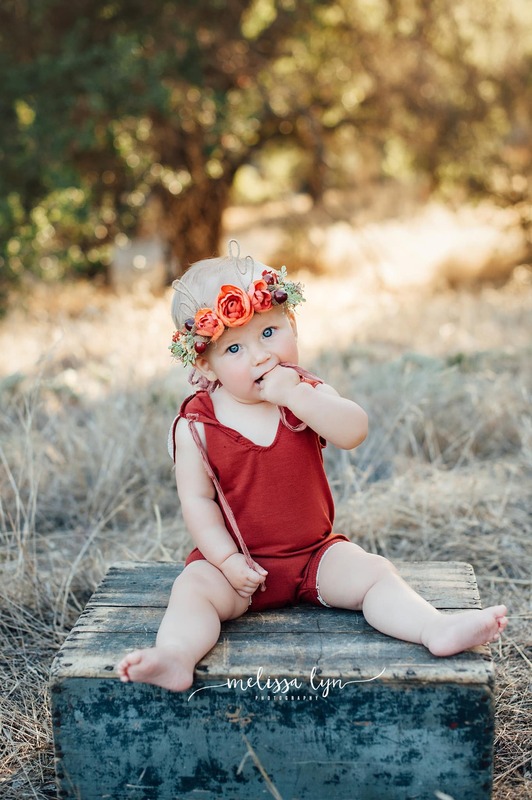 Also a photographer of Baby and Child milestones, as well as Family Portraiture. If you are interested in learning more or to schedule your session with Melissa Lyn please contact us! Beautiful styling, location and of course images! Thank you Audrey! Isn’t she just the cutest! Yellow looks so good on her. Located in Temecula, Murrieta area and serving surrounding areas from Orange County to San Diego. 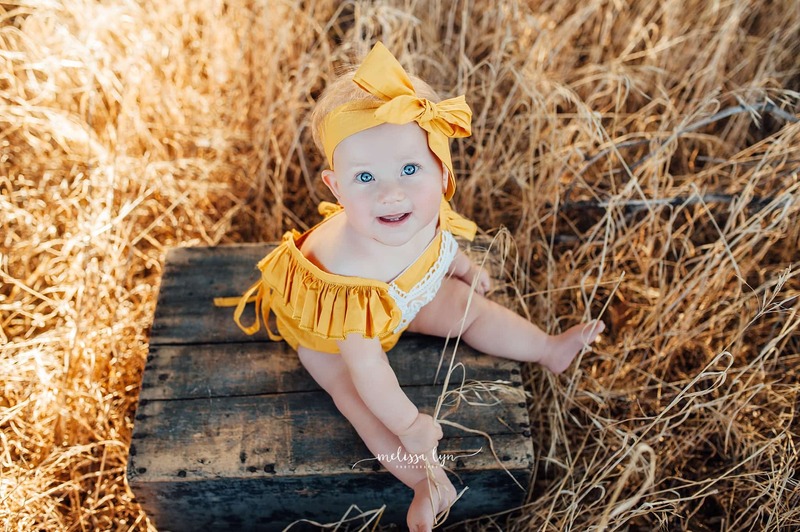 We specialize in maternity, newborn, baby and family photography.